Given the shift in our accessible fleet this year to a newer and broader range of aircraft, we wanted to reacquaint you with not only our operating standards policies regarding safety, but also clarify the operational differences between the various types and models of aircraft you may fly in. The operators who own, manage, and maintain aircraft have been specifically chosen to work with BLADE based on a consistent high level of safety standards, equipment maintenance programs, and conservative operating protocols. They have been vetted by BLADE and third-party rotorcraft industry experts and are audited by our Chief of Safety (see bio below) on a quarterly basis. All of our operators are subject to regulation under 14 CFR 135, which prescribes a much higher level of oversight by the FAA over BLADE flights versus operations in privately owned and operated helicopters. These more stringent safety regulations applicable to commercial helicopter operations contribute to a reduced incident rate that is less than half the rate for non-commercial helicopter flights. All passengers must supply a valid government ID for check-in at all BLADE departure points. BLADE collects and digitally verifies the names of all passengers, their weights, and determines the dimensions and weights of their baggage to ensure that they fall within the prescribed specifications of the operator and FAA mandates. BLADE also assists operators in arranging passengers in specific seats within aircraft based on considerations for center-of-gravity and size or weight of the individuals flying. Pilots make the final determinations based on the aforementioned assessments. BLADE reserves the right to prohibit passengers from flying who are unruly, intoxicated, disruptive, or otherwise unfit to fly in the sole determination of BLADE and/or its operators. Our in-lounge Customer Experience Team ("C/X Team") is trained to make recommendations to our operators. Cigarette smoking, electronic cigarette smoking, and vaping are prohibited in the BLADE Lounges and on aircraft. Seaplane versus helicopter–which is right for me? Since pilots have greater flexibility when taking off in inclement weather, seaplane flights have a lesser chance of weather cancellations than helicopter flights. Additionally, any passenger over 200 pounds will be more comfortable on a seaplane as they are generally more spacious than helicopters. Seaplanes also have greater flexibility for baggage dimensions. Seaplanes operated by BLADE have two pilots and instrument capability ('IFR'). IFR technology enables a greater ability to fly in inclement weather. BLADE's New York-based seaplanes can only depart or arrive on the East side of Manhattan. 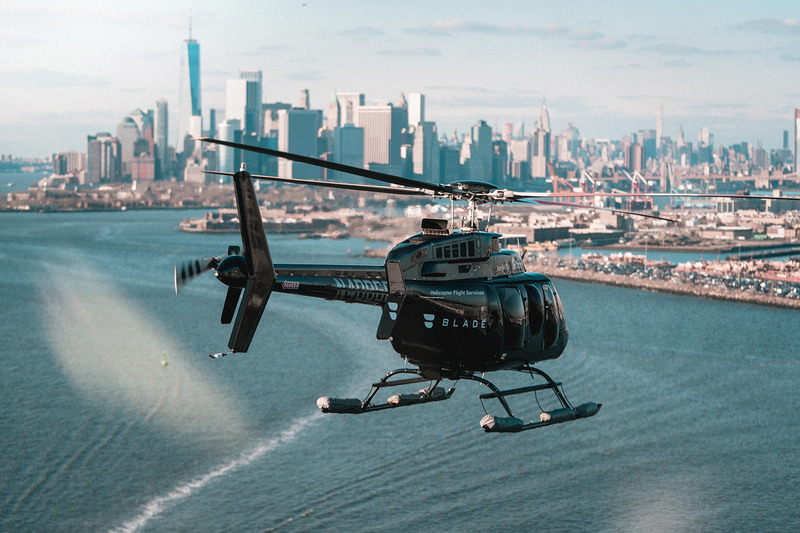 If your ultimate destination is on the West side, you will have a faster door-to-door arrival if you choose to fly to the BLADE Lounge West by helicopter (or the Lower East Side BLADE Lounge by helicopter if your ultimate destination is TriBeCa or the Financial District). Finally, with respect to safety, the incident rates for seaplanes versus helicopters is statistically insignificant for passenger operations in the contiguous U.S. Does BLADE arrange flights on both jet-engine and prop powered aircraft? All helicopter, seaplane, and land plane flights sold by BLADE on a by-the-seat, crowdsourced, or charter basis are operated on turbine or piston powered aircraft. Each BLADE operator is vetted for safety and reliability to ensure the highest level of service. When should I fly on a twin-engine helicopter rather than a single-engine helicopter? A twin-engine helicopter is an appropriate selection when one or more of the following is desired: Extra weight or space needed for bags or passengers; faster flight speed; larger cabin space; or IFR capability (potential for flights in less than optimum weather). Additionally, certain corporate insurance policies may require use of twin-engine helicopters due to a decades-old safety policy holdover from a time when most single-engine helicopters were largely powered by piston-based engines rather than jet engines. (See above). When would I need two pilots versus one? Typically, BLADE's operators will make the choice for you based on the type of aircraft used. Cabin class helicopters such as (Dauphin, Agusta, and Ultra (Sikorsky)) are always flown with two pilots for all operations. All flights on amphibious seaplanes used by BLADE utilize two pilots given the complexity of water landings. A second pilot, whether required or not, may be requested for any charter or crowdsourced flight for an additional fee, if desired. When will BLADE proactively cancel flights? BLADE will cancel a flight when our team believes the flight may experience an above average level of turbulence. This is not an issue of safety, but rather a precaution to ensure passengers do not feel uncomfortable. BLADE will also cancel a flight when there is a reasonable chance that weather at the ultimate destination may cause a flight to be diverted to an airport or heliport significantly far from the scheduled destination. While weather diversions always remain a possibility regardless of our meteorological expectations, BLADE takes it upon itself to obtain ground transportation upon landing to get fliers to their final destinations. Is it true that helicopters can glide? Yes. While most people believe helicopters cannot fly without engine power, they in fact can safely glide for sustained distances in a safety procedure called auto-rotation. Comprehensive auto-rotation exercises are completed by all FAA certified pilots during training. What are some useful statistics about helicopter safety? Less than 10% of incidents involving helicopters reported to the FAA involve passenger helicopter operations (excluding sightseeing and doors-off flights) versus other types of helicopter missions. The vast majority of incidents occur when helicopters are conducting missions such as pilot training exercises, emergency medical services, and offshore oil transport. It is estimated that there are 4 incidents for every 1 million commercial general aviation helicopter flight hours, according to the U.S. Helicopter Safety Team, an affiliate of the FAA and the NTSB. Meet Edward Schulze III. 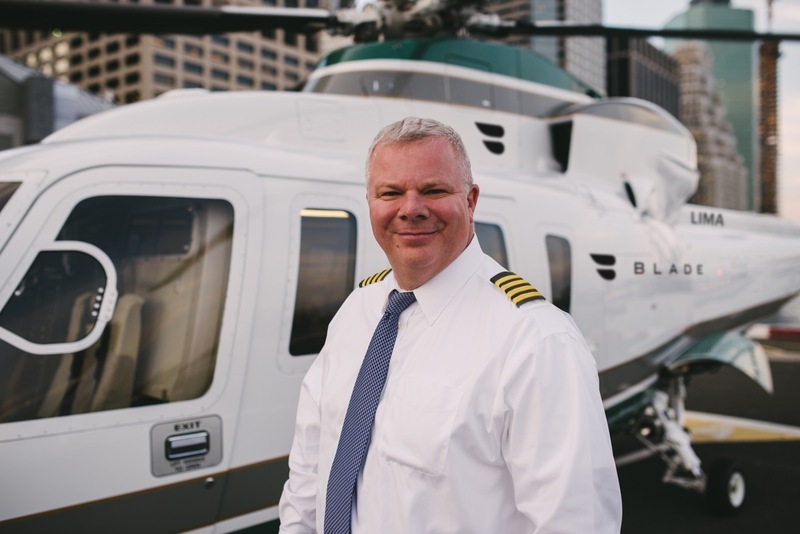 Ed is a leader in the national helicopter community with 35 years of experience working in military, police, counter-terrorism, and corporate capacities. His past experience include positions on the NYPD Counter-Terrorism Bureau, NYPD Aviation Unit, Helicopter Pilot in Command for Cablevision Systems, and as a captain on a Sikorsky 76C++ for the Associated Aircraft Group.